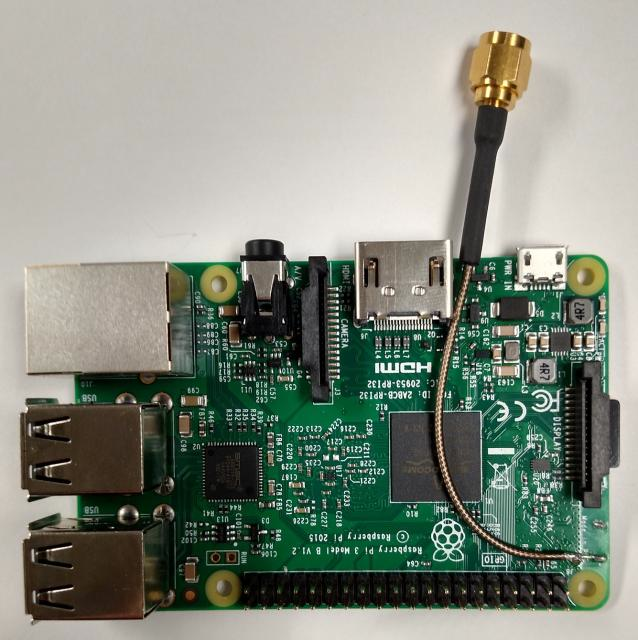 External antenna modifications for the Raspberry Pi 3 #piday #Raspberrypi @Raspberry_Pi « Adafruit Industries – Makers, hackers, artists, designers and engineers! This post will detail a couple of different ways that an external antenna can be added to the Raspberry Pi 3. Please view this as a purely experimental exercise and proceed at your own risk. It’s not clear why an external antenna is not an option for the Pi 3, there are a number of possible reasons and I don’t presume to know the Raspberry Pi Foundation’s exact rationale. It could be to improve the out-of-box experience, an integrated antenna “just works” and there’s no potential for the antenna connector to be broken plugging in an antenna. It could be to reduce complexity, the unit with an integrated antenna is compact and self-contained. It could be for regulatory reasons: in order to sell the device for use with a user-supplied antenna, the performance characteristics of that antenna need to be specified as part of the user instructions, and those characteristics must be adhered to in order to maintain compliance. Good luck with that. There are two basic approaches to adding a connector for an external antenna: remove the onboard antenna on the top side of the board and solder a coaxial pigtail in its place, or use the supplied pads on the bottom side and mount a U.FL connector. The first approach is much easier and can likely be accomplished with few special tools aside from a good soldering iron; however it results in compromised performance. The second approach involves precision soldering and is best attempted with strong magnification and a very fine soldering iron tip. Do not attempt it unless you’re comfortable working with 0201 components (0.020″ by 0.010″, about the width of two and a half human hairs). It does result in substantially improved performance as compared to the top mount approach.